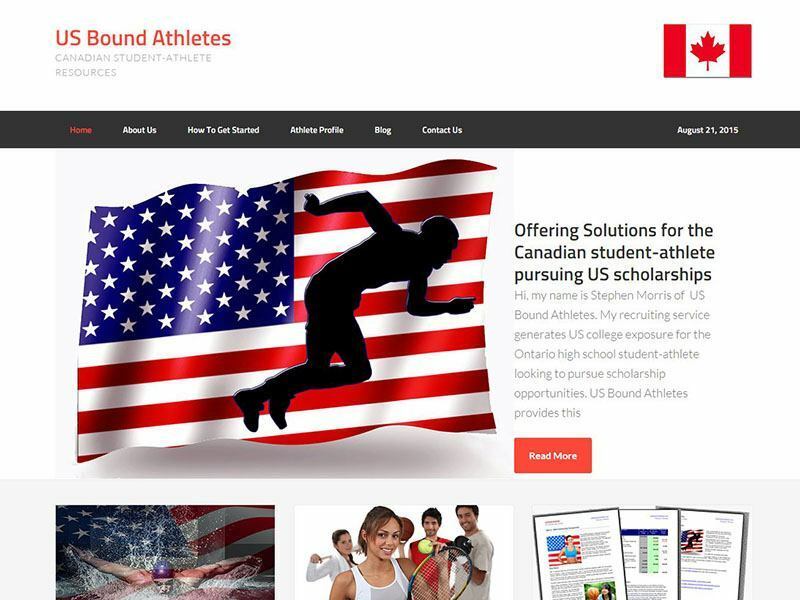 This website was a brand new venture aimed at educating Canadian athletes about the pros and cons of obtaining US athletic scholarships. Built to reach athletes from all the major sports this site also profiles an athlete who has successfully made the transition to a US college and provides invaluable information to students who are contemplating a similar move. It offers detailed information and analysis of all costs in a downloadable PDF format and manages the contact information with the student downloading the information. The website is HTML5 and mobile friendly and built on a state of the art SEO optimized frameworks.